We’ve worked with several wonderful clients based in Naples, Florida, and the dentists at Drs. Boe and Page were just that. Their old site was very much out-dated both visually and in terms of functionality, code and overall performance. Drs. Boe and Page hired us to design and develop a new, interactive website for their practice that has been serving Naples, Florida for over 30 years with personal care and exceptional service. 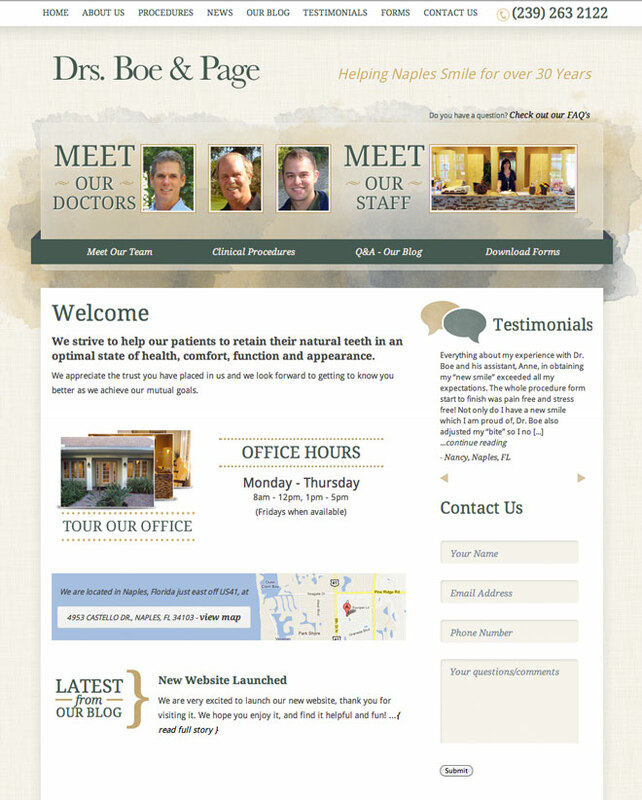 Together with the client, we designed a website with character and a personal feel that represents the Drs. Boe and Page practice very well. View Naples, Florida Dentists website.